In public outreach my goal is to see a person's transformation from knowing to understanding to gaining insight into science. 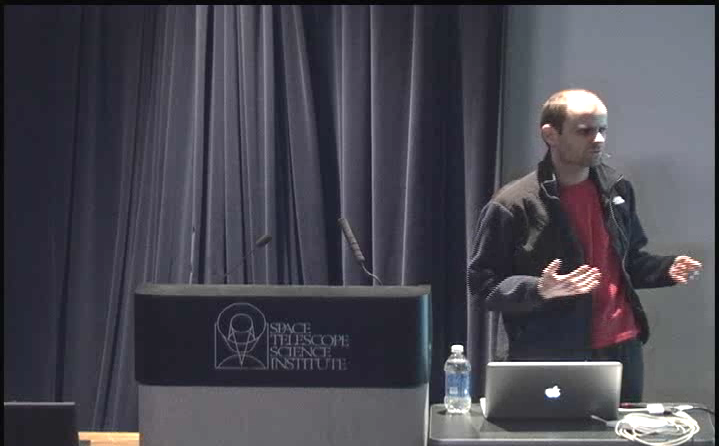 2013 - A public talk I gave at STScI (video) in April on the topic of Discovery and Characterization of Planets around Binary Stars. 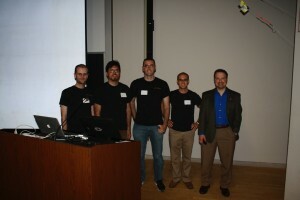 2012 Conceived and co-organized the Transit of Venus Event at Johns Hopkins in June 2012 - funded by the Maryland Space Grant Consortium, it proved to be a very successful event attended by over 400 people. 2010-2012 Annual presentation at the Johns Hopkins Physics Fair, where my latest demonstration was a simple planet detection simulation. Out table is regularly visited by 60-80 people. We know because we give out pre-counted flyers. 2010 I co-founded the student run AstrobiologyForum@JHU to discuss the latest research in the field in an informal setting. 2008-2012 Guest Judge at New York Science and Engineering Fair . I am usually assigned to judge the physics presentations but sometimes have been assigned to biology panels too. In the 2011 finals, President Obama dropped in to stress the importance of science for the future.